When J.K. Rowling posted an elaborated detail about Minerva McGonagall's younger life on Pottermore, it is time for Warner Bros to film it. 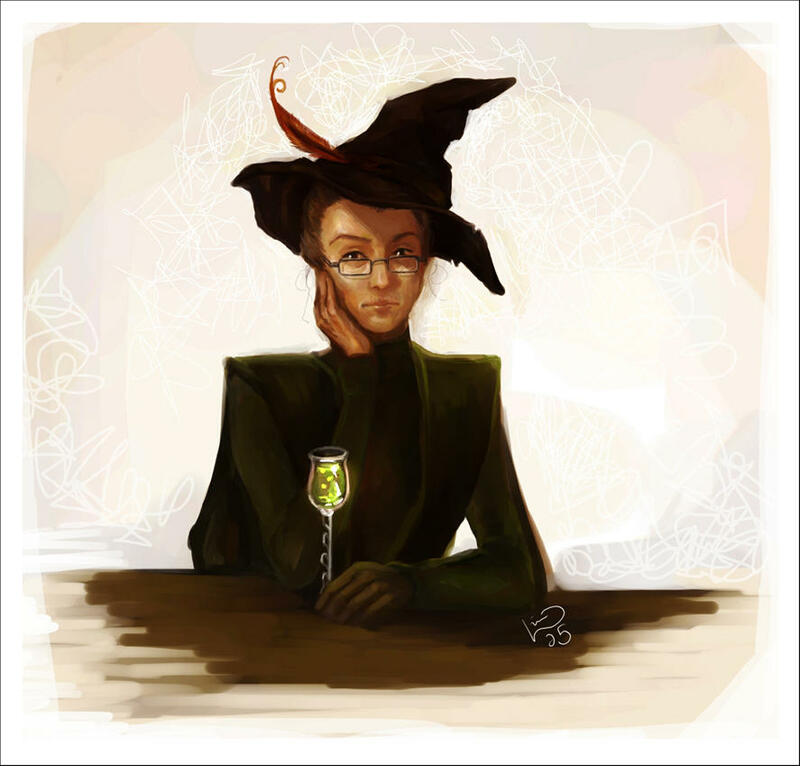 McGonagall had a colorful life, both happy and sorrow. She was a Quidditch player, lived in a Muggle environment during her childhood, and worked in the Ministry of Magic before she settled down as a Hogwarts professor. Her life is film-worthy. Could be drama-worthy. 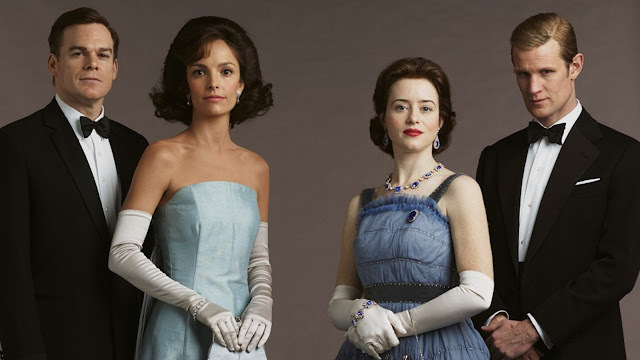 Ahem ahem, Netflix, ahem ahem. Matter of fact, I have two actresses in mind, who could play a young McGonagall. Emily Blunt (right) as The Baker's Wife in Into the Woods. 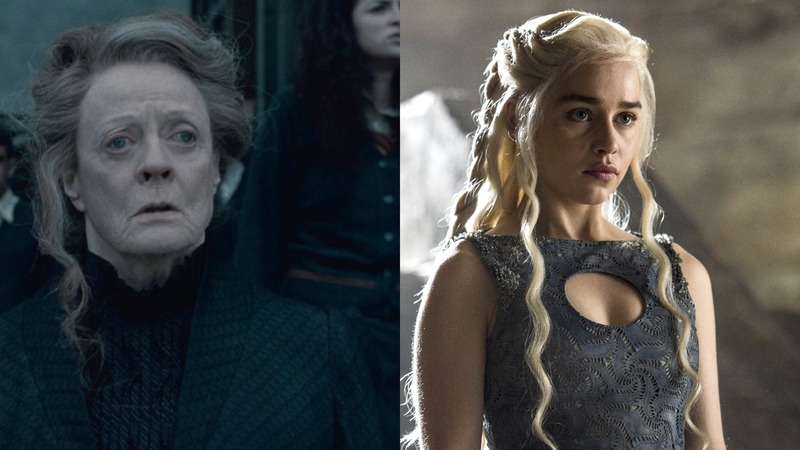 Emilia Clarke (right) as Daenerys Targaryen in Game of Thrones..
Below are four reasons why McGonagall deserves a film of her own. Well, not as tough as Harry Potter's. But, it was still tough. It will kickstart the film's plot with a bang. Rowling did not explicitly say that McGonagall's childhood was not happy. However, McGonagall was raised by her witch mother, Isobel, who was not honest towards her Muggle father, Robert. 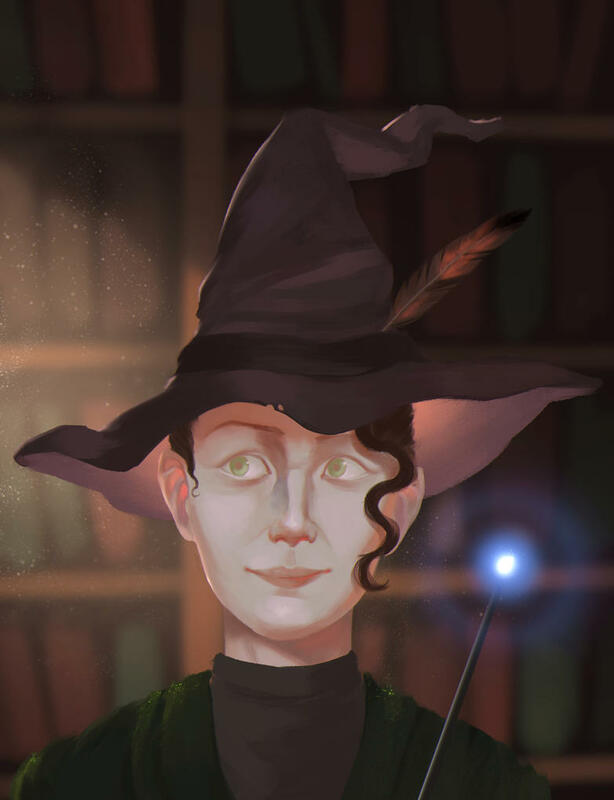 Isobel only told her husband that she is a witch when McGonagall started to show magical powers as a little girl. We cannot blame Isobel. She was bounded by the International Statute of Secrecy. She must conceal the truth about herself, or face the fury of the Ministry of Magic. As McGonagall's family lived in a Muggle environment, she did not flaunt her powers. She also advised her two younger brothers, Malcolm and Robert Junior to do the same. She observed the challenge her father experienced, with the peculiarity of his own family, and her mother was challenged to live in an all-Muggle village. We love Philosopher's Stone and Chamber of Secrets because of the Quidditch film scenes. We love Prisoner of Azkaban because it was the first time Potter raised the Quidditch Cup as a champion. However, we started to see less Quidditch on screen after Sirius Black fled Hogwarts with Buckbeak. Do not feel disappointed. 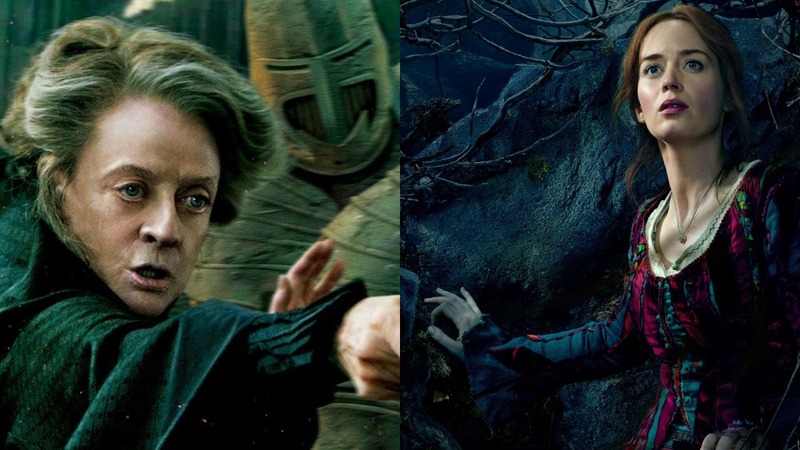 If the film about McGonagall is a reality, we can indulge in more Quidditch action. She was a Quidditch player. It was her long desire to see Gryffindor crushed Slytherin in Quidditch. Her desire was definitely fulfilled when Oliver Wood, Angelina Johnson, Katie Bell, Alicia Spinnet, Fred and George Weasley, including Potter defeated Slytherin during Potter's third year in Hogwarts. I am not just talking about Albus Dumbledore. McGonagall has her own squad too just like how Potter has Ron Weasley and Hermione Granger. Her schoolmates are Ravenclaw's Filius Flitwick and Hufflepuff's Pomona Sprout. 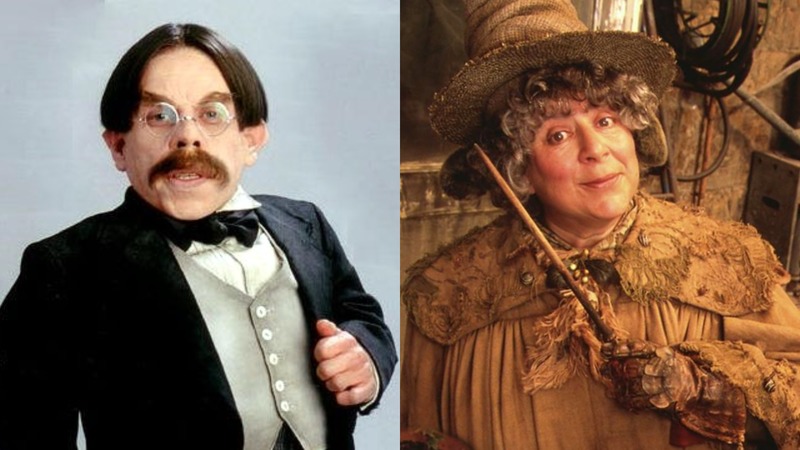 It would be nice to see Professor Flitwick and Professor Sprout in school, as young as a student. Just like her mother, McGonagall fall in love with a Muggle. His name was Dougal McGregor, son of a local farmer. He proposed. She accepted it. But, she changed her mind. Saw how her mother was unhappy with her Muggle life, McGonagall could not take the risk. 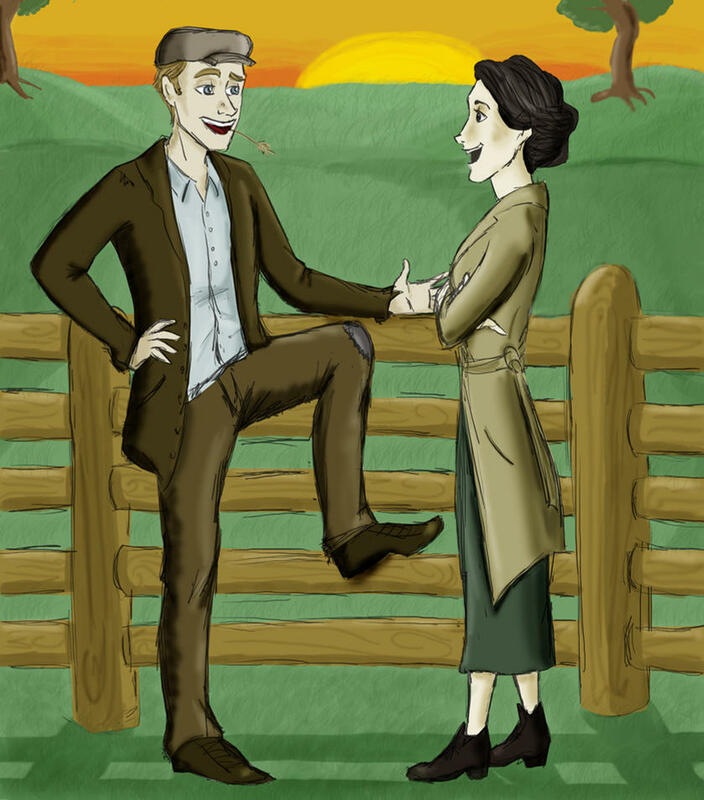 Her destiny was to stay in London and work in the Ministry while McGregor would inherit his father's farm in Scotland. This marriage could not work out. McGonagall's life in the Ministry was not fruitful either. Her co-workers engrained anti-Muggle bias in the office, while she was so close with her father, and her love towards McGregor never fades away. This is the reason she left the Ministry and returned to Hogwarts as a teacher. At Hogwarts, her heart was broken. McGregor was married to a daughter of another local farmer. She never stopped loving McGregor and until his last breathe, he never knew that McGonagall is a witch. She loved the Scottish farmer, but someone else loved her unconditionally. McGonagall's former boss in the Ministry, Elphinstone Urquart maintained their friendship together even after McGonagall left the Ministry. He proposed her several times but ended with declination. She finally accepted Urquart proposal, after McGregor passed away and James and Lily Potter was murdered. It was a happy marriage but it was cut short after three years, when Urquart died from a Venomous Tentacula bite. McGonagall's Muggle dilemma, her love conflict, and her friendship with Sprout and Flitwick set a good tone for a Minerva film. It would be better if Rowling can include more backstory of her teaching life. McGonagall is my role model when I was reading Harry Potter books. When Rowling posted on Pottermore about her early life, I was touched by her story. I believe, producing a film about her is a tribute to her strong personality. A tribute to Maggie Smith who has started the McGonagall dynasty. good review bro. enjoy reading this. Nice one. Love to read it. McGonagall ni merupakan watak seorang guru yang tegas. Tapi, bila korek sejarah hidup dia, tak sangka sejarah hidup dia ni unik. Bukan peminat Harry Potter tetapi layan je sekali sekala. Rupanya awak ni peminat movie ya. Selalu review yang best dan info menarik. Good job! nice review and looking forward to watch the film. Great fan of Harry Potter! I love the facts stated here, it was very interesting. i kenal dia dalam harry potter, always ingat dia karakter baik baik sebab raut wajah dia tak sesuai watak jahat..